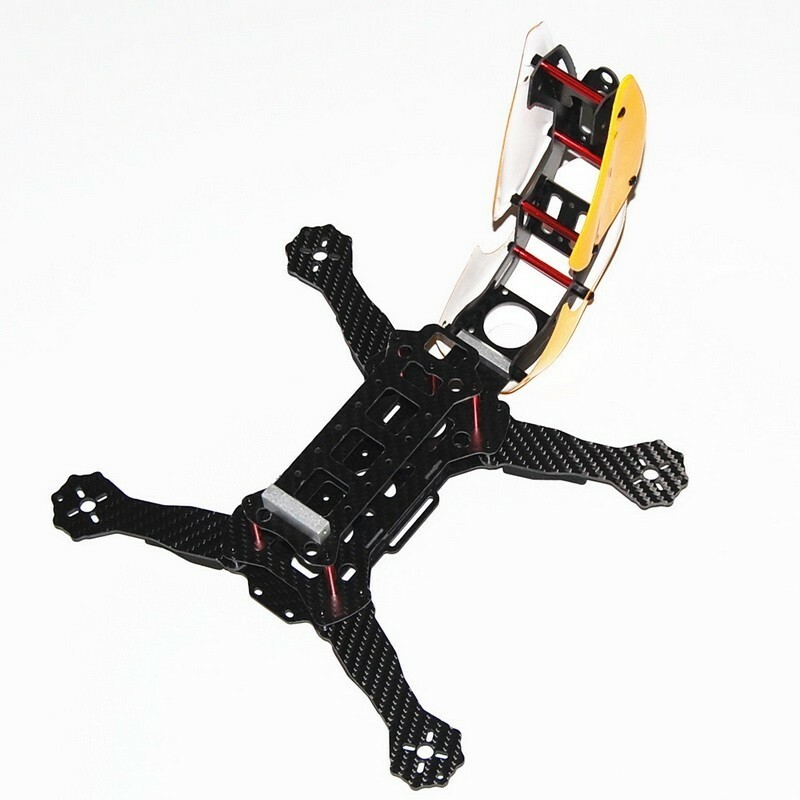 The RoboCat 270mm Glass Fiber Mini FPV Racing Quad is a lightweight airframe, it only weighs 198 grams, it has good durability and will stand out from the other First Person View quad racers at the field. 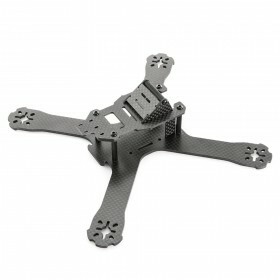 The Robocat 270mm is not short on the features seen in other FPV race quads, the core of the Robocat's air-frame is made from very strong glass fiber which is 1.5mm thick with supporting aluminium spacers to keep the weight down. The arms are cut from 3mm glass fiber plate to add additional strength to this racer for the best balance between weight and strength. 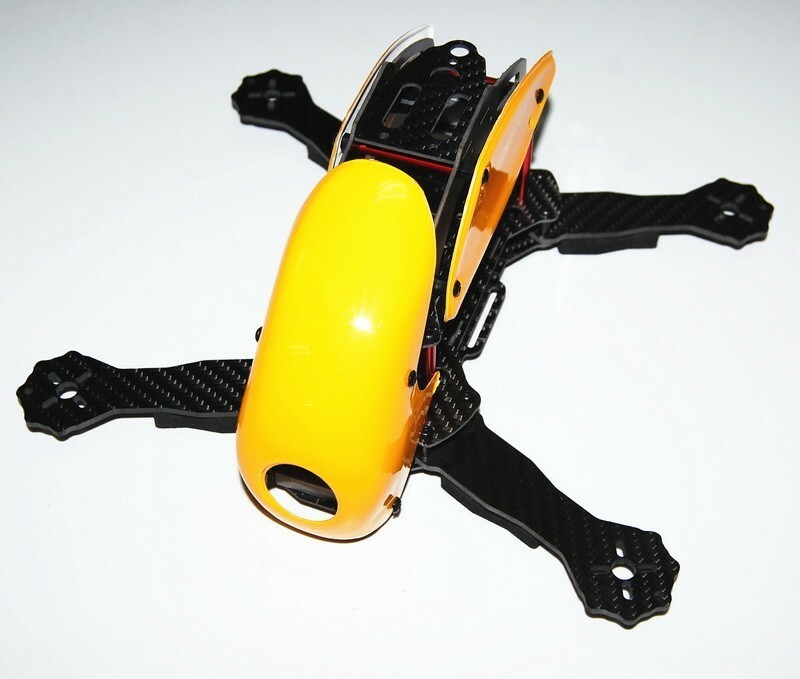 The maximum recommended take off weight for the Robocat is 450 grams including the battery. 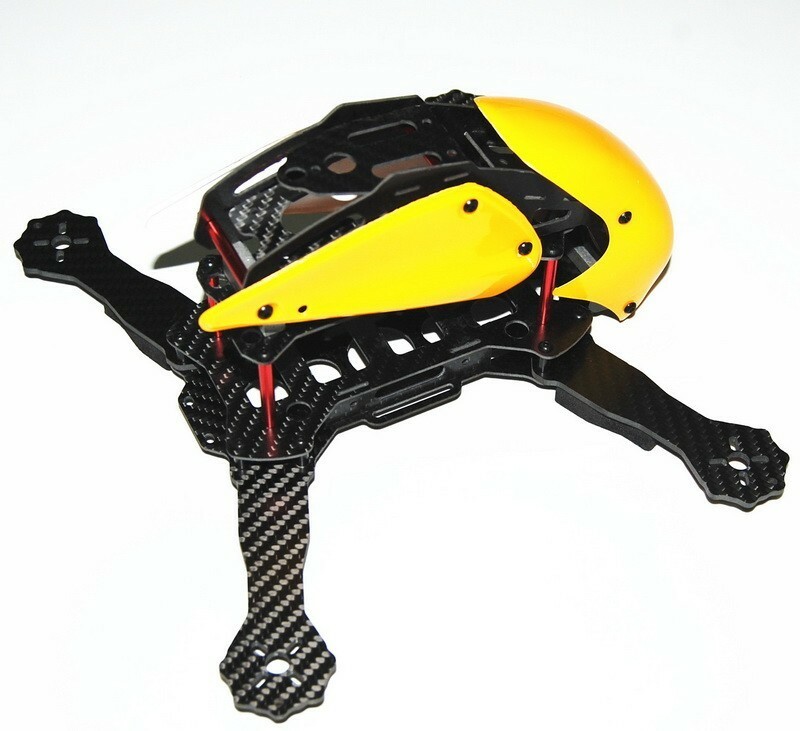 The body shell of the Robocat 270mm is a tough Lexan material that will allow the craft to have great finished look as all the wires and other parts are shielded from sight, the other advantage of the Robocat's shell is better aerodynamics while FPV racing. The body shell makes it easy to access the internals for service or repairs, the rotation of the shell will allow you to gain access in just a few seconds without needing to take apart the air-frame. 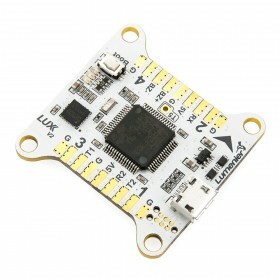 To help keep the internal wires of the Robocat neat and tidy while building you can use the Robocat 270mm Power Distribution Board, this comes with voltage regulators and will help remove any noise on the power lines with an LC filter. Internal space on the Robocat 270mm glass fiber FPV racer air-frame means that you can power from either a 3 or 4s LiPo battery cells up-to 2200 mAh, with enough room to install all the other important parts, the battery is installed in the mid plate section, on the lower internal plate of the Robocat's frame you can fit a Naze or a CC3D flight controller. 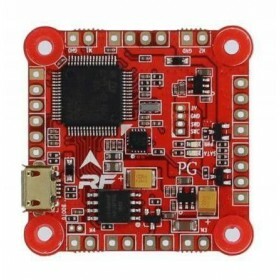 With standard spacing holes of 16 & 19mm on the arms of the Robocat you can install 20 Amp ESC's and motors between 18xx & 22xx allowing for a wide range of power systems and performance to meet the needs of all the FPV Race drone pilots. The recommended propeller size on the Robocat is 5 inch. 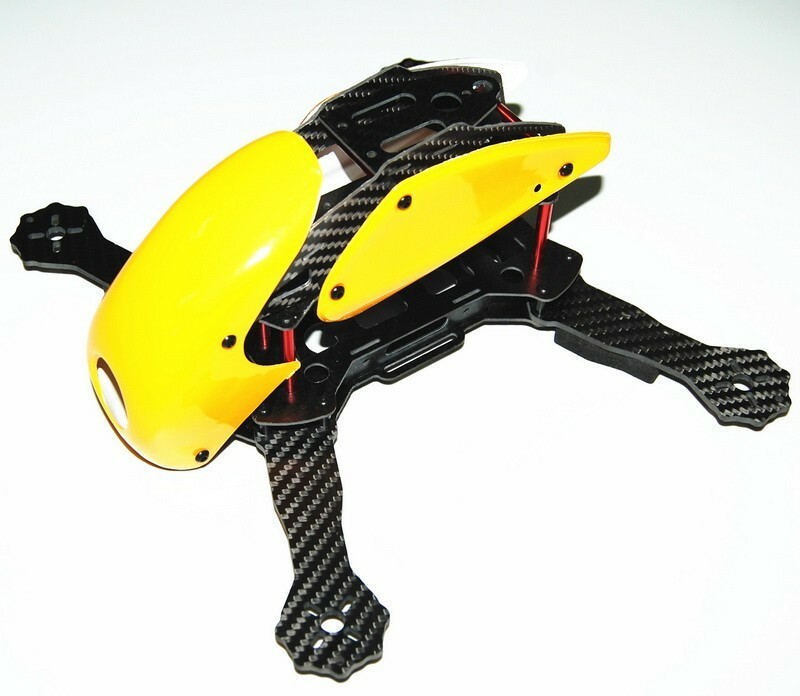 A "pre-angled" FPV camera mount is installed in the Robocat's nose, this points the camera in an upwards direction, the view it provides is an optimised viewing angle while flying at higher speeds or when in racing conditions with other pilots, the camera is protected by the body shell and extended lower carbon frame plate, this acts like a bumper in harder landings or crashes helping to protect the camera from damage. 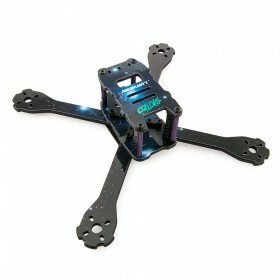 Full build instructions are supplied with the RoboCat 270mm Glass Fiber Mini FPV Racing Quad air-frame, which make putting together this mini FPV racer quick and easy. 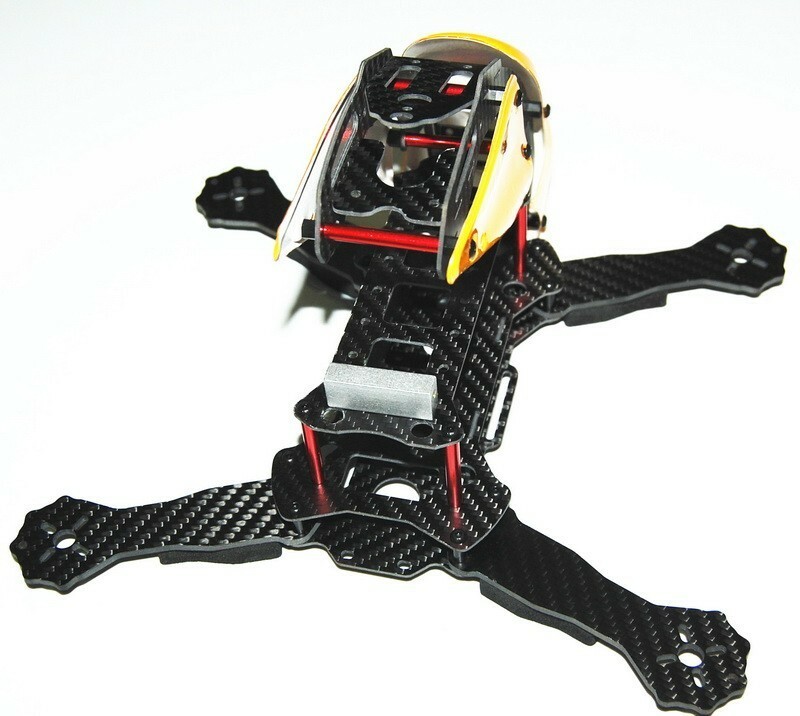 Please Note: The Images shown are of the Carbon Fiber Robocat Frame. The Glass Fiber frame is the same in every way apart from the material used. The glass fiber is finished in a semi sheer black finish and will not have the carbon weave.